Zoho Campaigns integrates with cloud storage services such as Dropbox, Onedrive, Box and Evernote. You can directly import your data from them. Mouse over Dropbox and click Connect. We will import contacts and other files stored in DropBox. You can authenticate Dropbox account by entering your login credentials when you're importing data from it. Mouse over OneDrive and click Connect. We will import contacts and other files stored in OneDrive. You can authenticate OneDrive account by entering your login credentials when you're importing data from it. Mouse over Box and click Connect. We will import contacts and other files stored in Box. 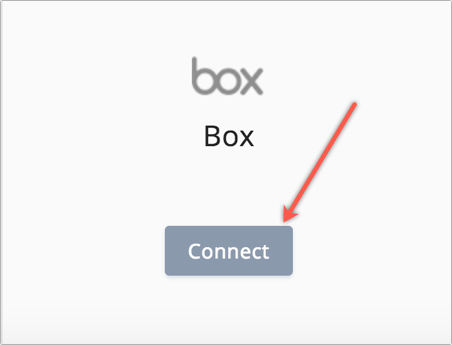 You can authenticate Box account by entering your login credentials when you're importing data from it. 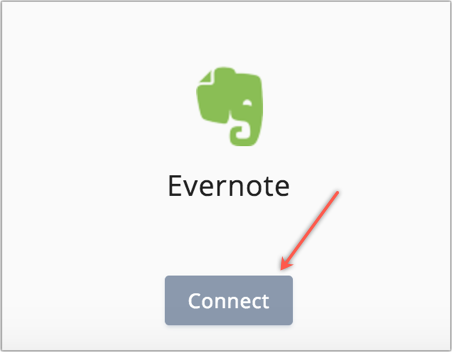 Mouse over Evernote and click Connect. We will import contacts and other files stored in Evernote. You can authenticate Evernote account by entering your login credentials when you're importing data from it.